The movie star confirmed Thursday that she is indeed dating the 2020 presidential candidate. Actor Rosario Dawson confirmed on Thursday that she is definitely in a relationship with Sen. Cory Booker, a Democratic presidential hopeful for the 2020 race, finally putting rumors to bed about whether or not the two were an item. "Yes, very much so," Dawson said while walking through Reagan National Airport in Washington, DC, when asked by a TMZ reporter if she were dating Booker. When asked how the two were getting along so far, Dawson had nothing but glowing things to say about Booker. "So far, so wonderful," she said. "He's a wonderful human being. It's good to spend some time together when we can. We're very busy." Ladies and gentlemen, cue "Seasons of Love" from the Rent soundtrack. Last month on Power 105.1's The Breakfast Club, Booker played coy, saying he had "a boo," though he didn't reveal any names. 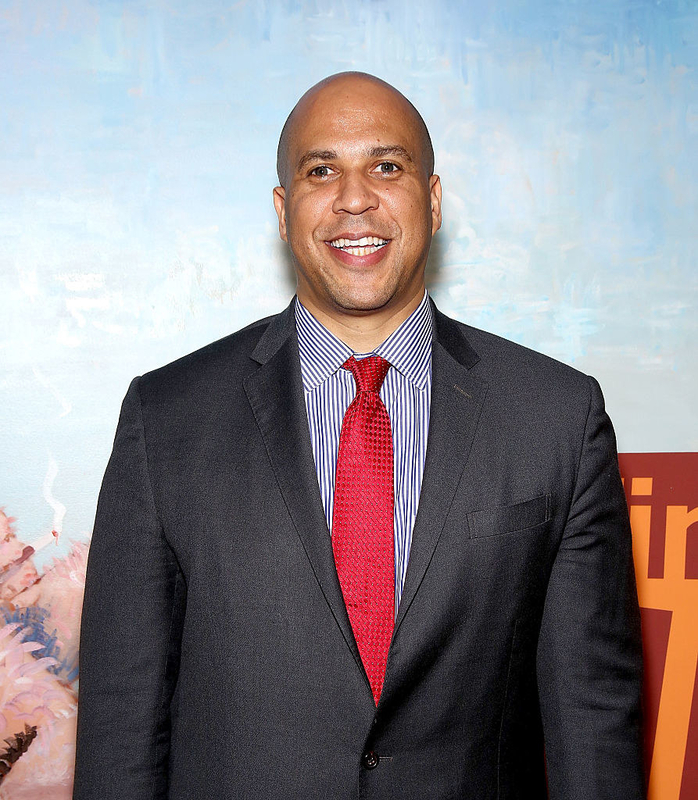 Booker did say that he was dating someone "really special" and was adamant that she would make a great first lady. The same thing happened when Booker appeared on BuzzFeed News' AM to DM in February. Booker was asked what activities he and Dawson enjoy when they go out, but the senator didn't fall for the bait. "Wow, that is a set up if I've ever heard one," Booker said before answering the question. The politician still didn't name Dawson, but said he enjoys eating good food and seeing a good film when going out. In the 2016 election, Dawson was a full-on Bernie Sanders supporter. Sanders has said he will run again in 2020, but Dawson is now fully behind Booker. "I think so, yeah. He's an amazing human being," Dawson told TMZ when asked if Booker would make a great president. If you think the couple is preparing to go to the altar, that's up in the air. Dawson said she has "no idea" if wedding bells are in their near future. "I am just grateful to be with someone that I respect and love and admire so much who is so brilliant and kind and caring and loving," she said. A spokesperson for Booker's office did not immediately respond to BuzzFeed News' request for comment.